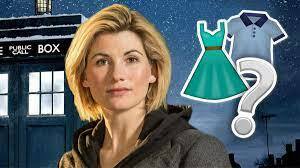 Doctor Who’s new outfit announced; what will Jodie Whittaker wear in the new series? See her new outfit below! Doctor Who fans have been given the first glimpse of the new Doctor’s outfit! Of course, the new Doctor is played by Jodie Whittaker. She will be the Thirteenth Time Lord and the first woman to play the role. When she was revealed as the Doctor, Jodie said that the cloak and hoody she wore in the trailer won’t be her final outfit as it hasn’t been decided yet. Jodie will make her debut on the show in this year’s Christmas special. However, it won’t be until Autumn 2018 that fans get to see what’s in the full series.